1. My ironing pile to be no bigger than 3 items. I have to be honest and say I quite enjoy most housework, but loathe ironing, and for too long, I've just let it pile up on a chair until the pile was huge. No more, I will limit it to 3 items and just get it done and over with. 10 days into January and so far so good! 2. Take proper computer breaks. Although I have another small job that gets me out the house, between blogging and working as a professional writer, it's all too easy to fall into the trap of spending over long staring at the screen, or faffing about on social media in between tasks. I started trying to resolve this last year, not eating lunch at my desk to start with, and now I'm making sure I get up and take breaks now and then. 3. Listen to more of my music collection. My MP3 player is badly in need of an update, I've no idea how long it has been, but it also needs to be charged regularly, instead of just left in the draw when the juice runs out. Mum also commented she doesn't hear me listen to music much, and I suppose with the radio on in the kitchen, and me working or out the house I've lost the habit. So I fully intend doing some proper CD bashing this year. I'm not exactly lazy when it comes to my hair, but just like little day to day housework tasks and such, and with no motivation to get up early, it sometimes get left a little long. Now I have finally discovered the right gap between hair washes which suits my hair, have even marked it on the calendar, and so far I am sticking to this as well - quite pleased with myself. Freelancing is a great big rollercoaster, this past year or so more than most, and in some ways I am starting afresh trying to build up new areas and new contacts. I keep in touch with past contacts and my specialism of music, but I have gradually started working in new areas, which means pitching alongside my usual job hunting. I am hoping to build on my two national/specialist successes this year, and along with whatever random ideas come up to pitch, I am trying to narrow down and focus some other work goals. It's not easy, but I already have a couple of leads to follow up - where they will lead who knows, but it makes me feel much better, and that is what I want, an inspired, motivated 2014. Crafting is first and foremost a hobby for me, and one which I love very much. One of the best things I ever did was start crafting. I was lucky enough to sell in a pop-up shop for six months last year which was a great experience, and got me thinking. I've always been one to pick and choose what I like and would enjoy, both in terms of crafty shopping, and actual projects, but I felt a re-brand was in order, hopefully to generate new sales and interest, and refresh my creativity. So I have already taken steps to change my crafty name to 'Paw Prints and Petals', ordered a custom rubber stamp for price tags etc, and when I have time I'll be planning a sale. Hopefully now the fun will start - I won't be making 100's of the same thing as a rule, but I do hope to create some sort of brand, and be known for certain things - now I just have the challenge of selling old stock and creating something new. 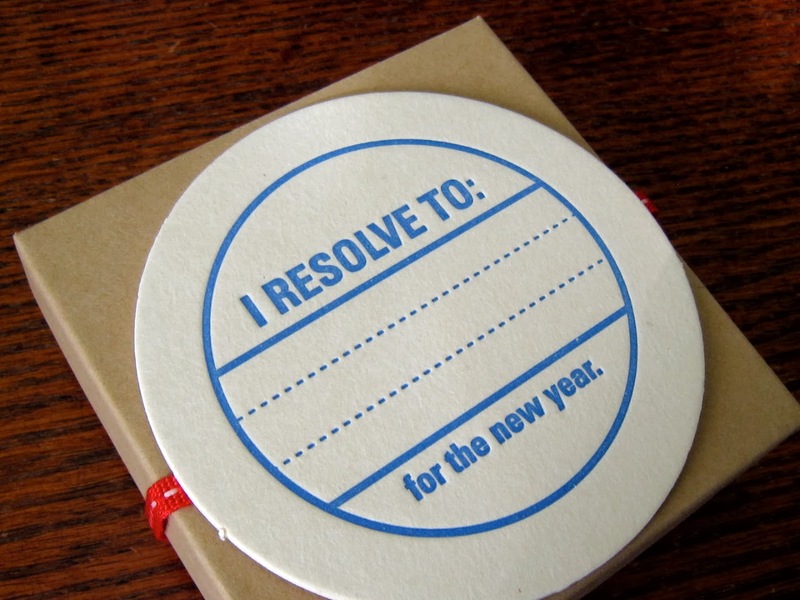 How about you, have you made any resolutions? fallen off the bandwagon or standing resolute? Let me know below, and lets all encourage each other out of the January blues.